Using the command line in OS X, you can enable a hidden feature in Time Machine that allows you to backup your Mac to a non-native volume, including Networked Attached Storage devices, network volumes, or even a Windows PC. This is generally best for advanced Mac users, as it must be enabled through a defaults command string, let’s walk through it. Warning: this is an unsupported feature in Mac OS X and Time Machine, relying on this method to backup your data could be risky. Proceed at your own risk. Now you’ll be able to access non-native NAS volumes through Time Machine setup. Don’t forget that this is an unsupported feature in Time Machine which is why it isn’t enabled by default, relying on this for your backups may not be the best idea. Apple probably chose to keep it unsupported for several reasons, but remember there’s always a potential for packet loss with network traffic, particularly wireless networks. Packet loss in the case of a backup could result in corrupted or missing data, so if you plan on using this feature you may want to stay on a wired ethernet network to reduce the chances of any transmission loss. I tried this briefly and got the “Time Machine backup delayed” message, forcing a manual backup to resolve the error. 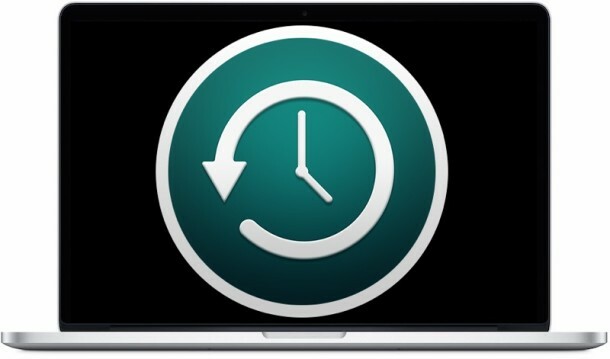 It’s my strong recommendation that you’ll just backup Time Machine to a dedicated backup drive that is physically connected to your Mac, this is without a doubt the most reliable method. Nonetheless, if you’re in a pinch, it’s nice to know you can bend the rules if a situation requires it. Thanks to Nick for sending this in! Packet loss will not happen, since this is an TCP connection (which will take care of packet losses, even when it operates over a wireless connection). Time-outs may happen, the Time Machine software may not like this. You sure you can’t lose data from network interference? Wouldn’t a time-out also cause data loss? If you connect to your network drive using SMB you have to create the .sparsebundle file using Disk Utility. The trick is to name it properly “COMPUTERNAME_MACADDRESS.sparsebundle”. There is an automator action at the following link which can be used to create this sparesbundle automatically. I have used this technique to backup my Mac to a hard drive I have attached to my Boxeebox. Before that the hard drive was attached to my router. :) It works great! Indeed there is: sold you their own overpriced proprietary backup technology. Sorry to go off topic….is there a way to reduce the number of back ups that time machine does other than manually turning it off. I find it annoying that every hour my macbook starts making noise due to the extra processing power required for time machine as half the time am just on the web and there isnt even a need for a back up. Once or twice a day would suffice in my opinion. I was wondering whether this could be done via terminal too.